We were ready to get rid of our landline. We were getting as many as 10 calls a day from telemarketers, fraudsters, surveys, and giveaways. Many times there would be silence on the other end, likely due to a computer calling to see if someone would answer. Sometimes we’d see the same Caller ID six or seven times a day. Asking callers not to call didn’t help. Opting out didn’t help. Disconnecting didn’t help. I was also getting many unwanted calls on my mobile phone. It seemed as if I was constantly checking a Caller ID to see if I should accept the call. My phone lines were driving me crazy. Searching the App Store, I decided to try RoboKiller. I installed it two days ago, and my phone has stopped ringing. The service is free for two weeks, and then the cost is $2.99 per month, or $24.99 per year. So far It’s been a small miracle. I’m sure I’ll pay the fee. Having solved one problem, I went to the Xfinity website to see if I could solve my landline problem. Xfinity now offers a product called Nomorobo for residential customers. It’s free, or at least it’s free for landline customers. Nomorobo mobile customers and businesses pay a fee. I signed up. Calls that make it past the blocking feature now go to Xfinity’s voice mail instead of our answering machine. I’ve also set Xfinity’s voicemail to send us an email for each voicemail received. The email comes very quickly, with a transcription and an audio copy of the message. 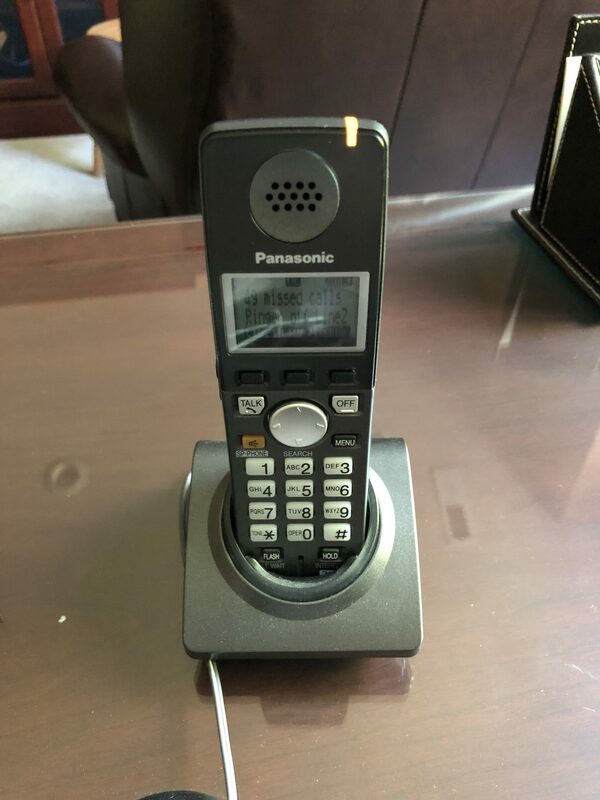 Our landline rings once if the call is blocked and four times for the not-blocked before going to voice mail. So far today we’ve had 9 blocked calls. On the Xfinity website I can see the Caller ID information, so I can check to see if I missed any calls I may have wanted. We have a second landline we used as a fax line years ago. Now we only use it for our doorbell. Even though the number isn’t listed and for the last few years we’ve never given out the number, we still get robocalls. I added Nomorobo to that line, and it has finally been quiet today. Someone said, “If I didn’t have bad luck, I’d have no luck at all.” Now I can say, “Without the robocalls, I have almost no calls at all.” I don’t mind. The silence is wonderful.